Many poker enthusiasts shifted from traditional to online casinos when these sites started gaining popularity. These casinos have recently introduced live dealer poker games which feature real human dealers. If you like the setting and feel of traditional casinos, you will enjoy live dealer games. In this guide, we will cover the similarities and differences in online and live poker games. 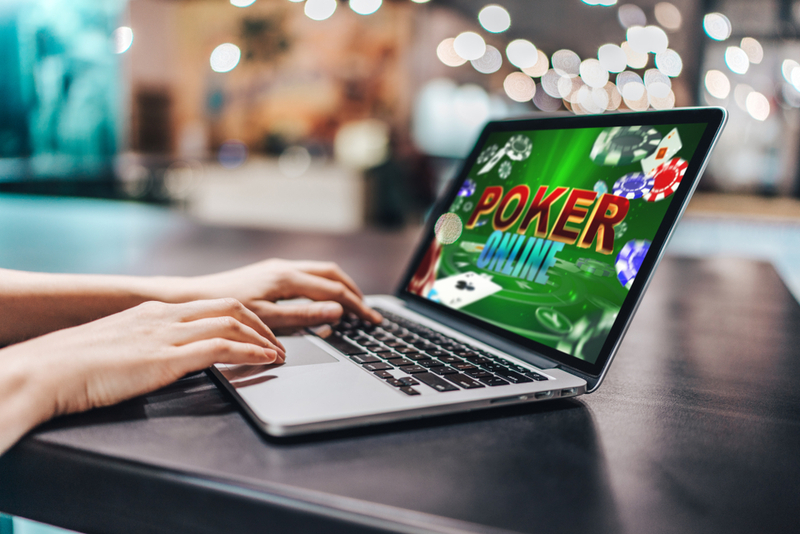 What Are the Similarities between Online and Live Poker Games? Online and live poker games are all available in online casinos. They can be accessed via mobile devices as well as desktop devices. It is important to sign up with a casino that has a functional mobile website or app as these will allow you to play the live dealer games on your phone. You should also note that you will require a fast internet when playing live games. A slow or unstable internet service will affect the smooth running of the live games. If your internet takes a long time to stabilise, the casinos can even nullify your winnings. Players of online and live poker employ the same tactics. They all bluff and deliver bad bets. Most of the rules of the games are similar, so if you’ve been playing the online version, you are ready to start playing the live version of the game. What Are the Differences between Online and Live Poker? If you are already used to playing online poker, you will find live dealer games very slow. This is primarily because the casinos allow fewer hands per hour per table. The games usually involve a lot of folding, and this can make the game boring. If you are a professional poker player, you may find the slow games advantageous as you will get more free time to analyse your opponents. You should also note that players are forced to play at one table in live poker games. In online poker, people can play more than one table. In live dealer poker, you will be able to consult the dealer whenever you have a question. This is why the games are more popular with older and less tech-savvy poker players. The communication also makes the games more realistic. If you enjoy the feel of traditional poker houses but don’t like going to the physical casinos, you should consider playing live dealer poker games. Many people find online poker more challenging compared to live poker. This is because most people who play online poker are serious and generally more skilled at the game. Online poker games also lack distractions, especially because there is no voice communication involved in these games. It is easy to learn how to play live poker since it is a social game. Most people who play live poker are social and play for fun. Players in online poker tournaments are very aggressive. They are also usually more skilled in the game, so an amateur will have very low chances of winning these tournaments. Live poker players are less aggressive and are usually less skilled in the game. Is Live Poker Similar to Traditional Poker? You may also be wondering how much live poker resembles the traditional brick and mortar poker games. One key similarity between these two games is the fact that you will be interacting with real people and playing with real cards. In live poker games, the dealer will be picking cards from an actual deck, and this is the same thing which happens in traditional brick and mortar casinos. However, traditional casinos do not offer you the convenience of playing from your own home. You have to go to a physical poker house to enjoy these games. Online and live poker are similar in many ways. They are both played in online casinos and they follow similar rules. However, switching from one form of poker to another can be a challenge. If you are used to online poker, you will find live poker boring and slow-paced. Also, you may miss the challenge of playing with skilled poker players. You should try out both forms of poker before settling for a single one. Previous Post: A complete beginners guide to Pot Limit Omaha Poker & tips to help you ace your game!